Photo by nickcaveofficial • Instagram. 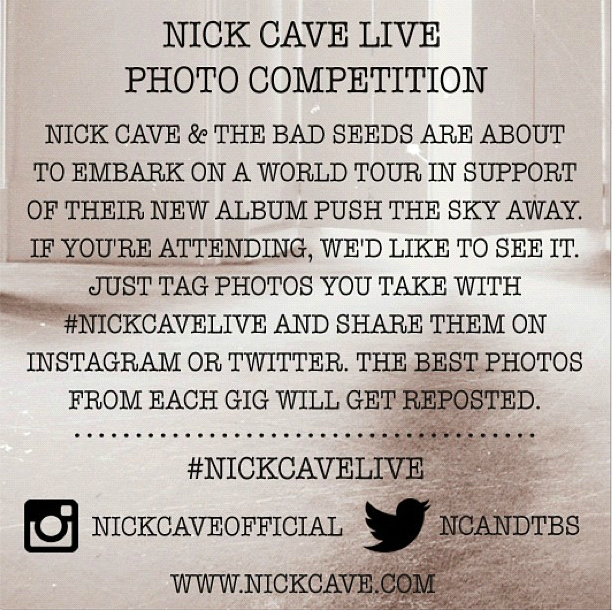 PreviousNick Cave & The Bad Seeds, “Push The Sky Away”, entire LP streaming online NOW! Nextdance, dance, dance, dance, dance to the radio….